The firm you trust. The counselors that deliver. 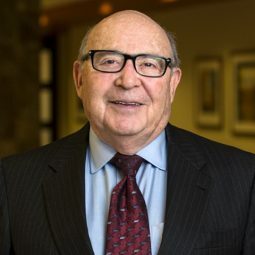 Leslie J. Polt joined Adelberg Rudow in January, 2007 after several years as partner in a national firm. Mr. Polt represents banks, commercial finance companies, leasing companies, factoring companies, and other institutional lenders in such areas as asset-based financing, bankruptcy and reorganizations, commercial lending, healthcare finance, government contract factoring, turnarounds and debt restructure, commercial real estate finance and other areas of commercial law. Mr. Polt has also published and lectured extensively on leasing and financing. Mr. Polt serves as Maryland reporter for the Compendium of State Commercial Lending Laws, and the Compendium of the State Laws of Guaranty, both published by the Commercial Finance Committee of the American Bar Association.He also serves on the ABA Business Law Section’s Joint Task Force on Deposit Account Control Agreements. Mr. Polt was co-presenter at a July, 2015 workshop on factoring governmental receivables and presented a webinar on the same topic in November, 2014, both sponsored by the International Factoring Association.